Get creative and have lots of fun with your friends in front of the camera and each other. 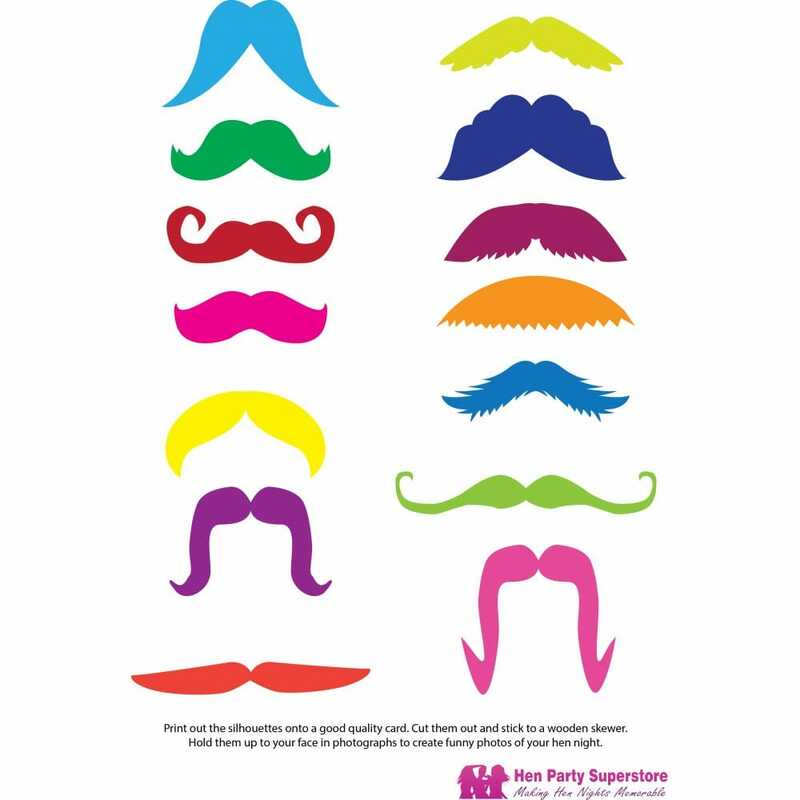 These colourful moustaches are perfect for cute props at a hen party, you will just need long wooden sticks to attach them. Silly fun and very on trend.